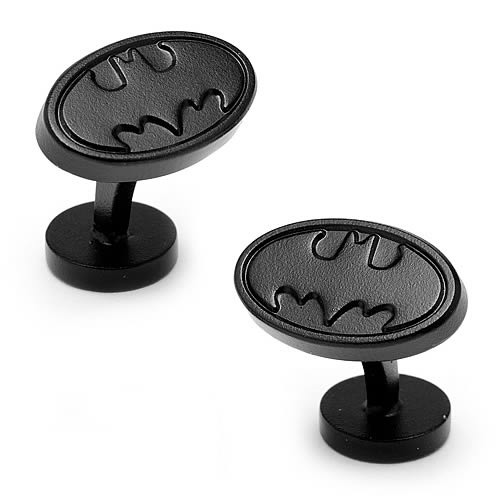 Celebrate the Caped Crusader in style with the officially licensed Batman Logo Satin Black Cufflinks. Part accessory, part work of art, the cufflinks are constructed with impeccable quality. A highlight of this exclusive collection is the fixed DC Comics backing. The ideal gift for the Batman fan in your life! The cufflinks measure about 1-inch wide.